YOUR TRANSPORTATION ALTERNATIVE IN KOSCIUSKO COUNTY! Reliable and Affordable Curb-to-Curb Service. KABS serves all of Kosciusko County. 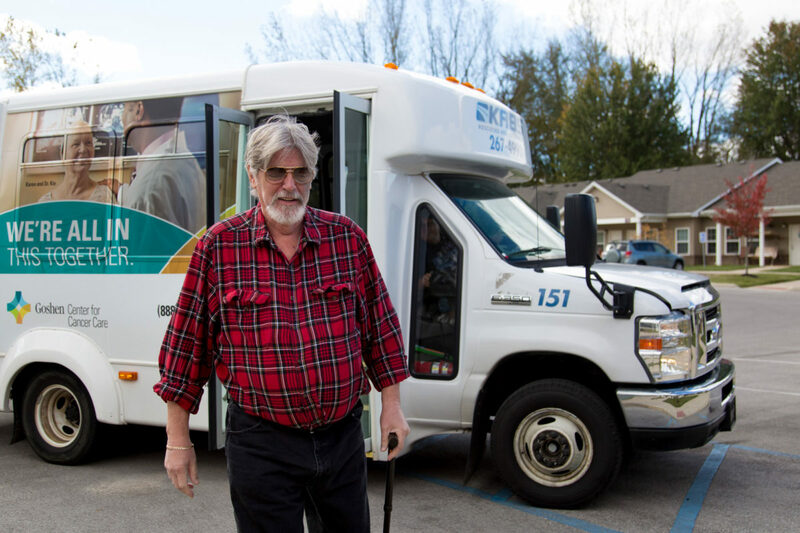 Monday – Friday, 5:30 a.m. – 8:00 p.m.
KABS is Medicaid approved and can transport to medical appointments state-wide. Folletos de transporte estan disponibles en espanol. Détente en 1804 E. Winona Ave. Warsaw, o llamar para que sean enviados por correo a usted sin costo alguno. Passengers can access TTY services through Relay Indiana by calling 1-800-743-3333 and providing them with the KABS office or toll-free number. The Relay Indiana staff will then translate the conversation for them using TTY services. Pre-Scheduled Trip—Call or email a day in advance of travel time to make a reservation. Standing Reservation—We pick you up each day the service is needed. You never have to call except to cancel. 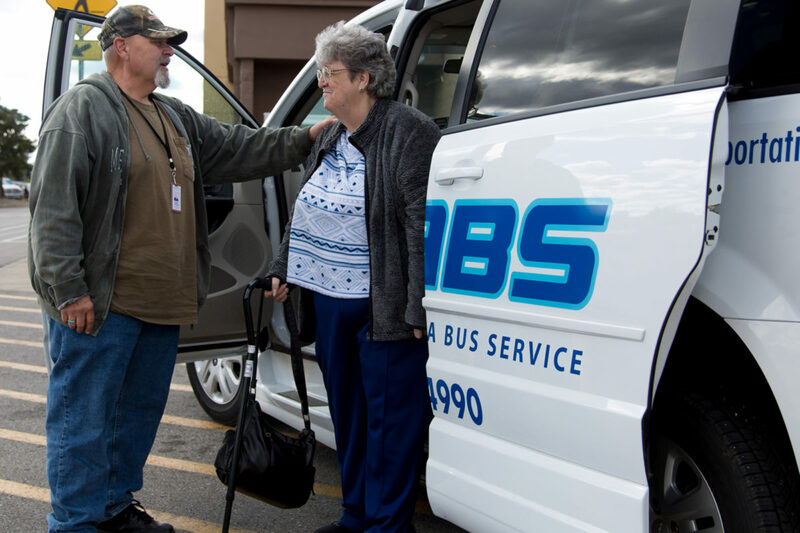 Same Day Service—If you can’t call a day in advance, KABS will still do its best to meet your transportation needs. Same Day Fee: Add $5.00 to the appropriate fare if you are calling for a ride the same day. No-Show Fee: There will be a $5.00 fee for no-shows, or rides not appropriately canceled at least one hour in advance. Correct change is required. Our drivers cannot make change. Purchase tickets or tokens at 1804 E. Winona Avenue between 8:00 A.M. and 5:00 P.M. Monday through Friday. KABS operates its programs and services without regard to race, color, and national origin in accordance with Title VI of the Civil Rights Act of 1964. Any person who believes he or she has been aggrieved by any unlawful discriminatory practice under Title VI may file a complaint with KABS. For information on KABS civil rights plan and the procedures to file a complaint contact Amanda Landis, KABS Transportation General Manager, Contact telephone 574-371-1410 and TTY contact 800-743-3333; amanda.landis@cardinalservices.org, or visit our office at 1804 E. Winona Ave., Warsaw, IN 46580. If any information is needed in another language or alternate format, contact Amanda Landis, KABS Transportation General Manager, Contact telephone 574-371-1410 and TTY contact 800-743-3333; amanda.landis@cardinalservices.org.